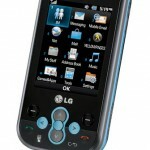 The LG Neon is an attractive phone, with smooth rounded corners, clean lines, When you go shopping for a mobile phone, the satisfaction and needs vary from person to person or rather with the varying categories of people with their varying needs. Overall it is stylish, yet simple, easy to fit into any purse or pocket and easy to handle.The LG Xenon is apparently LG’s premier announcement at CITA this year but the LG Neon deserves a closer inspection as well. The LG Neon is sleek, compact, measures 4 iches in length and is 2 inches wide.It has a 0.66 inch thickness and is quite lightweight at 3.81 ounces. The sliding mechanism is perfect, being sturdy yet smooth to operate.The phone has a glossy finish, is black in colour and has a 2-4 inch display , can support 262,000 colours with a resolution of 240X320 With an adjustable backlight , brightness and font size of the menu text, plus the dialing digits and clock, the LG Neon is a desirable phone to have.The text is very legible while the images look great on it. 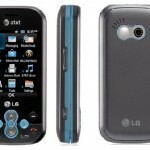 The LG Neon, like the Xenon,has a slide out QWERTY keyboard , but it’s more compact,.Moreover it is a tri-band phone, and doesn’t have 3G.In fact its much simpler than the Xenon. The keyboard however has three rows instead of four and so is in a way cramped but enables easy texting because the keys are well spaced and have a bumpy texture. The peculiar thing about it is that it does have a touch screen but for the phone dialer. In fact I would say it is good as a messaging phone The LG Neon is available for $29.99 with a two-year contract and after a $50 mail-in rebate. The advantages: Though the LG Neon is stylish and compact with a music player , it is affordable, has an ideal sound quality, with a spacious keyboard yet there are some undesirable features. The disadvantages: The LG Neon has a touch screen only for the dialer application ,is tri band GSM while it has an edge speed too slow for over-the-air music downloads and the camera is only 2.0 megapixel. Reading and sending emails is quite easy, the music folder however contains only limited trial subscription to Make your Tones or Music ID applications.The LG Neon has 14 MB built in memory capacity along with a micro SD slot for a memory card of 4GB additional storage. While the Bluetooth connectivity supports a technology known as A2DP which can stream audio in stereo to the headset. As said, the LG Neon has a touch screen only for the dialer and for the rest of the phones interface there are only regular navigation keys which I found rather strange. The reason as to why the manufacturer could not have made all the functions of the LG Neon available through touch screen is a question. With less advanced features in comparison to the Xenon, I would still recommend the LG Neon for most people because of its durability, especially for teens.